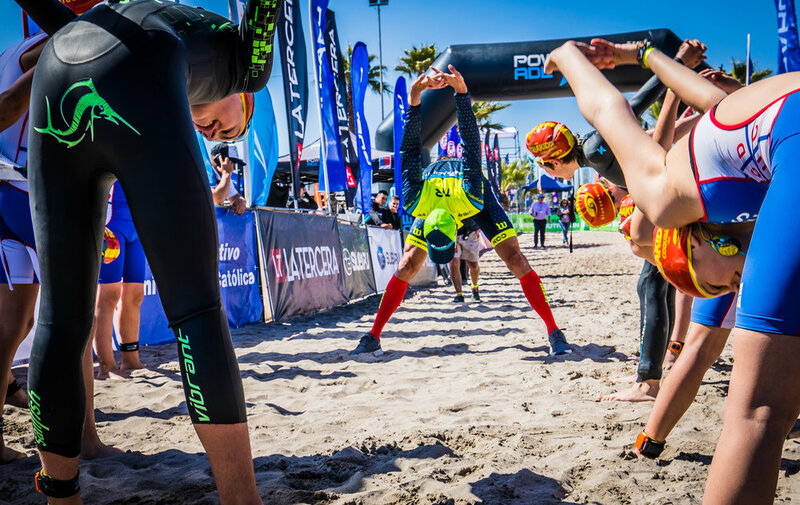 1- Warm Up: Whether it is in the water(ideal) or with stretch cords on dryland, you absolutely need to warm up before the race. I also like to do some deep breathing exercises to get my lungs ready for the heavier breathing accompanied with a race start. 2- Build your effort: So many folks go faster in the first 10,20,30 yards than they do in the whole race. I advise all of our AP Racing athletes to try and find some open water early in the race and build their effort. If you build your effort, it will build confidence. It will also give your body a chance to get used to the demands of racing. 3- Don’t get into buoy battles: The buoys are usually some of the most crowded places on the swim course. Be smart, take the buoy wide, find open water and be on your way. In the end, it will be faster and be a lot more comfortable in the water. The other thing to think about with buoys is to accellerate out of the buoys. You want to have energy and the ability to change gears coming out of a buoy in case you find yourself in a crowded area. If you are already ‘on the rivet’, you won’t have many options to get out of trouble. So, the next time you toe the line, have confidence knowing that you are ready to have your best swim yet! JOIN THE AP RACING TEAM!